Cumrun Vafa, the Donner Professor of Science, and Andrew Strominger, the Gwill E. York Professor of Physics, have been named winners of the 2017 Breakthrough Prize in Fundamental Physics for their groundbreaking work in some of the most dizzying fields of theoretical physics. Harvard’s Cumrun Vafa, the Donner Professor of Science, and Andrew Strominger, the Gwill E. York Professor of Physics, have been named winners of the 2017 Breakthrough Prize in Fundamental Physics in recognition of their groundbreaking work in a number of areas, including black hole theory, quantum gravity, and string theory. Strominger also pointed to the community of researchers he has collaborated with over his career, and expressed hope that others will continue to seek out answers to the fundamental questions of the universe. “There is a prevalent myth in science — perhaps especially in theoretical physics — that the real progress is made by lone geniuses in patent offices or under apple trees, while the rest of the community merely fills in the details,” he said. “The truth is in fact just the opposite. We all help and communicate with one another on many conscious and unconscious levels, and the real progress is made by the community of seekers as a whole. Vafa also credited at least part of his work to the many influential Persian scientists and mathematicians who came before him. 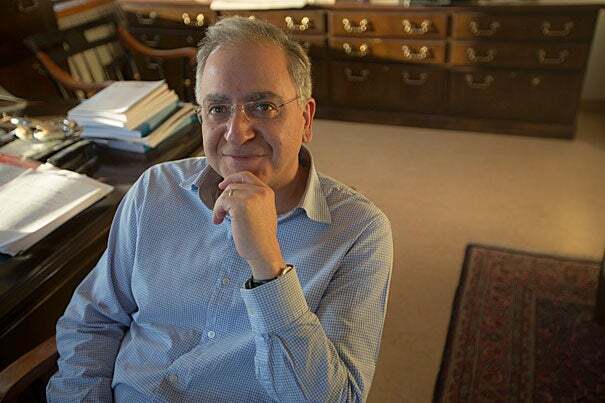 Both Vafa and Strominger have made critical contributions to the search for truths, particularly in the area of string theory. One of the most promising candidates for uniting the four fundamental forces — electromagnetism, gravity, and the strong and weak nuclear forces — string theory suggests that all particles actually consist of tiny, vibrating strings. Differences in those vibrations correspond to different particles, just as different vibrations of a guitar string correspond to different musical notes. Working together, Vafa and Strominger in 1995 made the first controlled calculation of black hole entropy — first theorized by Stephen Hawking and Jacob Bekenstein — using string theory, and demonstrating the connections between geometry and field theories that arise from string theory. Vafa and Strominger shared the $3 million award with Joseph Polchinski from the University of California. In addition, Harvard Physics Professor Xi Yin was among the recipients of the New Horizons in Physics Prize, which recognizes the work of early career physicists and mathematicians. 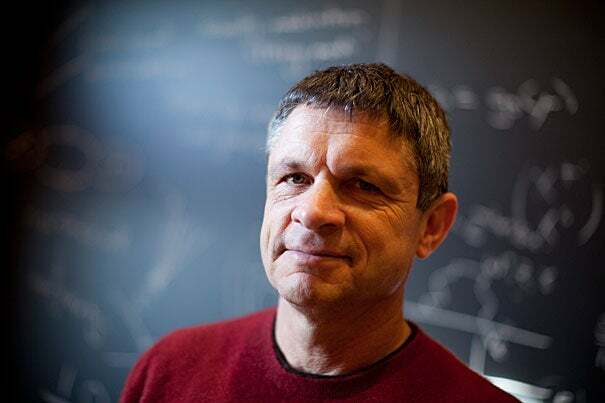 Stephen J. Elledge, the Gregor Mendel Professor of Genetics and Medicine at Harvard Medical School and a Howard Hughes Medical Institute investigator, was also among the recipients of this year’s prize in the life sciences. The Task Force on Inclusion and Belonging has completed its preliminary organizational activities and has appointed several subcommittees that will focus on specific areas in need of improvement.